Diwali 排灯节 pái dēng jié is one of the India’s biggest festivals. 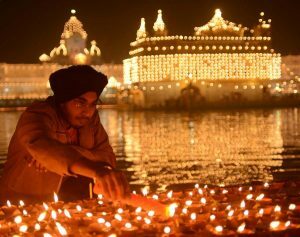 It basically means rows of lighted lamps and every Indian person will celebrate it with joy like a beginning of another new year! 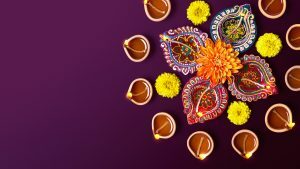 In 2018, Diwali will start on Tuesday, the 6th of November and will continue for 5 days until Saturday, the 10th of November. 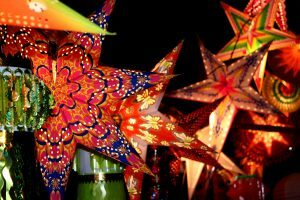 During this festival, people will light up their houses, shops, and restaurants, with all sorts of lanterns and candles. They worship Lord Ganesha for good welfare & prosperity and Goddess Lakshmi for wealth and wisdom. 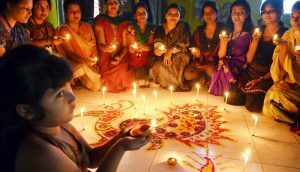 Diwali is also an official holiday in Nepal, Sri Lanka, Singapore, Malaysia, Mauritiius, Fiji, Suriname, Guyana, Trinidad & Tobago, and a school holiday in many USA states with a significant Hindu population. This festival is celebrated in the Hindu month of Kartika which falls sometime during October or November. It is celebrated to mark the return of Lord Rama from 14 years of Exile and his victory over the Demon Ravana. 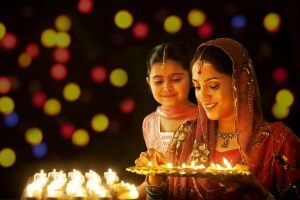 In many parts of India, Diwali is celebrated for five consecutive days and is one of the most popular festivals in India. 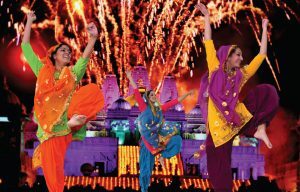 Hindus regard it as a celebration of life and use the occasion to strengthen family and relationships. Firecrackers fills the night sky, not too different from the Chinese Spring Festival. They hope for good luck and prosperity for the year ahead. A few days before Diwali, houses, buildings, shops and temples, are thoroughly cleaned, white-washed and decorated with pictures, toys and flowers. 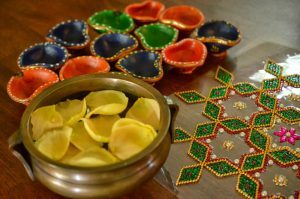 On the day of Diwali, people put on rich clothes, exchanging greetings, gifts and sweets on this day. At night, buildings are illuminated with earthen lamps, candle-sticks and electric bulbs. Sweets and toy shops are decorated to attract the passers-by. The bazaars and streets are overcrowded. People buy sweets for their own families and also send them as presents to their friends and relatives. At night, Goddess Laxmi, the goddess of wealth, is worshipped in the form of earthen images and silver rupee. People believe that on this day, Hindu Goddess Laxmi enters only those houses which are neat and tidy. People offer prayers for their own health, wealth, and prosperity, as well as for their family and friends. They leave the light on in buildings in their belief that Goddess Laxmi will find no difficulty in finding her way in. Such a wonderfully colorful and meaningful holiday! 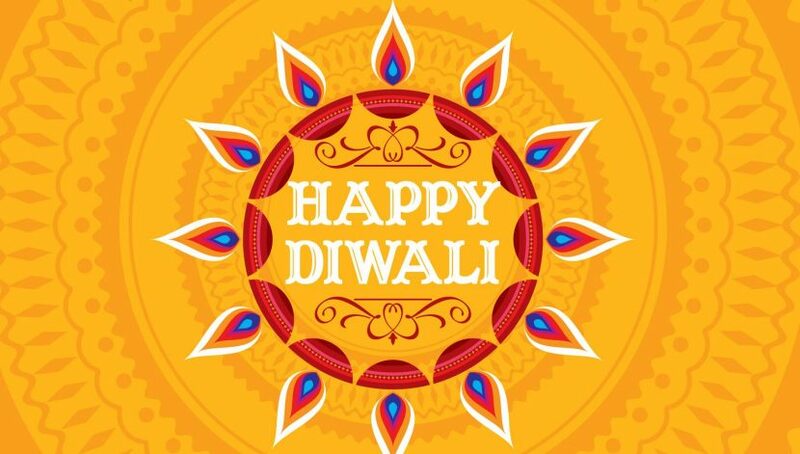 Pass on our blessings and Happy Diwali to everyone! China’s Online Secret Santa Gift Exchange is back – Join now through Wechat!